Spring has sprung, which means Easter is just around the corner! Children will soon be coloring and searching for eggs, many will find special baskets filled with delicious treats and green, plastic grass. The Beef Jerky Outlet is the perfect place to find everything you need to make those special Easter baskets absolutely breathtaking! From bulk candy to crickets and popcorn and let’s not forget jerky and snack sticks! Groundhog Day is Party Time! The suspense is building to an almost unbearable level, as all eyes across the nation turn to Punxsutawney, a small town in rural Pennsylvania. How many more weeks of winter will we suffer in the icy North? Only Punxsutawney Phil, the wise old groundhog, knows the answer. If Phil leaves his burrow and sees his shadow, get ready for six more weeks of winter. No shadow? The celebration of National Youth Day is marked on many calendars as January 12. Many countries around the world designate a special day to celebrate young people, so the actual date may vary. In the United States, we don’t have an official holiday to celebrate the youth of our nation, so January 12 is a good start. We wish you all a Very Merry Christmas and a Joyful New Year! 2018 has been a wonderful year for the Beef Jerky Outlet, and we hope that all our guests have shared in the experience. As we look forward to a successful New Year, let’s stop and take a few moments to savor the last week of 2018. The Holiday Gifting Season is in full swing at the Beef Jerky Outlet. BJO stores are busy welcoming new guests to the retail outlets and our ecommerce websites. The year-end holiday season is shaping up to be a fun time across the country for our customers and BJO teammates. 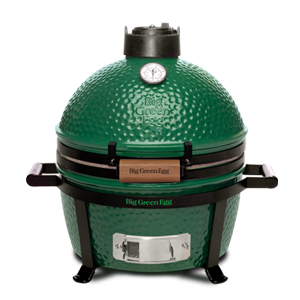 WIN A MINIMAX BIG GREEN EGG! Sign up to Win - Click Here! The all new MiniMax® Big Green Eg® is proof that great things come in small packages – and this EGG is the first to arrive with its own transportation in the form of a sturdy, easy to grip Carrier! Beef Jerky Outlet Loves Our Veterans! Halloween is fast becoming a major unofficial holiday, at least based on consumer spending statistics. The National Retail Federation (NRF) forecasts that Americans will spend over $9 billion on the haunted holiday in 2018. According to the NRF, more than 175 million Americans will participate in the “holiday,” with average personal spending trending up to $83.79. Sample Hot Pepper Bacon Jam NOW! You have absolutely, positively, no doubt about it, have to sample Hot Pepper Bacon Jam (HPBJ) on your next visit to a Beef Jerky Outlet store. Hot Pepper Bacon Jam isn’t just a flavor, it’s a whole bundle of flavors rolled into one totally addicting taste bud symphony! Some like it hot! Some like it smoky! Some like it sweet! How about having all on a dipped with a pretzel or spread on a wheat thin cracker? Get Out and Get Active in Autumn! Here we go again with another football season. But with all the controversy associated with pro football, a lot of folks are thinking about alternative autumn activities. Tailgating can be a fun, social experience. Fall starts this Saturday on September 22 and we are ready for you at the Beef Jerky Outlet. This is our time of year! The brilliant autumn color change sweeps across the United States from September through November. This grand fall spectacle is a source of visual pleasure from the northern tier to the southern states. Well, here you are on the Beef Jerky Outlet e-commerce website, surfing your way through a seemly endless selection of delicious beef, turkey and wild game jerky. Not to mention the almost limitless selection of unique snack foods from flavored peanuts to candy crickets. The creative and beautiful photos of the jerky products seem to jump right off the page! August is Road Trip Time! Summertime is Traveling Time! Early to mid-August is that special season we know as “high summer.” This is the time of year when we take to the road to visit new destinations or return to favorite old venues. Beef Jerky Outlet stores have a special niche in road trip and vacation planning. Many stores are pure tourist destinations, and hungry road trippers arrive in vacation mode looking for fun snacks like beef jerky. Beef Jerky Outlets are widely known as family friendly stores. We are the cool place with all the FREE SAMPLES of beef jerky and countless other treats that drive the little (and big) ones crazy. A visit to your local Beef Jerky Outlet makes for a great Family Friendly Event on a summer afternoon. The Fourth of July is that special day of the year when we celebrate our Freedom of Choice. This year July 4 falls on a Wednesday, and that makes it really special. When Independence Day is on the weekend, the boss grudgingly grants a Friday or a Monday off. The calendar keeps filling up with National “Do This or That Days;” all apparently designated for folks with lot of time on their hands. Not content with just having celebrated Father’s Day, Pet Sitters International founded the USA version of National Take Your Dog to Work Dayin 1999. The holiday is celebrated on the first Friday after Father’s Day. On first reaction, such a celebration would seem to be an entirely frivolous event, founded for no particular reason. Beef Jerky is What Dad Really Wants! Father’s Day is this weekend on Sunday, June 17. If you haven’t picked out a gift for Dad, time is quickly running out. The short porch schedule is no reason to panic, there’s still time left to make the right decision, or at least one that doesn’t overtly insult Dad’s feelings. National Jerky Day will be observed this coming Tuesday, June 12. Jerky lovers from around the USA are starting to take notice of the holiday and celebrate by, what else, eating more jerky. The holiday was originally suggested a few years back by one of the major jerky manufacturers. The revenues for the jerky industry have steadily increased in each of the years since the first National Jerky Day, according to industry research giant IBISWorld. A Special Beef Jerky Gift for Father’s Day: 20% Off Sitewide Discount! The Beef Jerky Outlet is now your go to source for both personal and corporate gifting. We have a wonderful new product line of ready to order corporate gifts at attractive price points. Four gift packages are currently available at convenient price points: Personal, Professional, Premium and Platinum. Local BJO stores can also work with businesses and community organizations to create custom packages for larger requirements. Each gifting package is attractively boxed and contains a selection of the tastiest jerky and snack sticks available. Armed Forces Day is observed yearly on the third Saturday in May. Memorial Day honors those who have given their lives and Veteran’s Day all who have served. Armed Forces Day pays tribute to the four branches of the military and those currently serving in uniform. In 1949 the Defense Department unified the separately celebrated Army, Navy and Air Force Days into one observance. The Marine Corps has joined in the single observance, although the Corps still has its own day set aside.